I encourage everyone whose kid likes, plays or wants to play soccer to send him on a soccer camp. Share Your Experience Learn from Others The benefits of attending soccer camp by youth players, besides the most obvious one - to learn and improve soccer skills, are multiple. Soccer camp provides the kids with opportunities to meet new friends, to have fun and lots of unforgettable memories. Also the experience of being without parents allows them to taste a certain level of independence while having to comply with rules, regulations, schedule and usually high level of discipline. Assuming, of course, that we send the kids on the well-organized soccer camp with high qualified coaching staff and personnel. Do you administrate a soccer camp and would like to list it here FOR FREE? Please do not hesitate and include your camp's detailed info in My Soccer Camp Directory. Your entry will be post it as a separate page on my-youth-soccer-guide.com including a form for updates, special announcements etc. How to find reputable soccer camp? Usually soccer clubs or any soccer organization that your child is a member of, either endorsed a certain soccer camp that they are associated with or they run their own camp. This would be probably the safest choice since you'd know exactly what to expect. Ask other players, not just from your club or team. See if you know anybody whose kid play for other local club and find out which soccer camp he participates in. Get suggestion and opinion from actual participants or their parents. You can also gather some useful information from reviews and testimonials on the Internet. 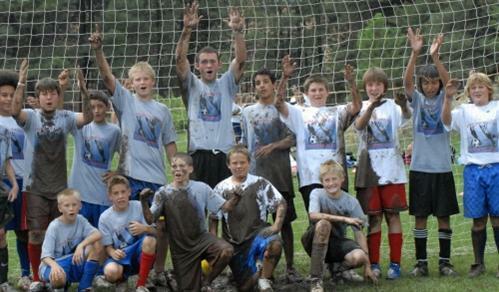 Do you know a well-run soccer camp? Share the info with others. Write about it here. If you had a miserable experience, write about it too. As a matter a fact if you have any soccer camp story, please share it with us. It could be just simple soccer camp info, or/and review (good or bad), or tips, suggestions or advise for parents and participants, or basically anything that is soccer camp related. Your story will make a difference for many young soccer players. What kind of accommodation will the kids have? Is it safe and comfortable? What could the kids do during free time? Are there any organized activities besides soccer? What is coaches' background in soccer? It's probably not a surprise to you that the main goal for soccer camps is to make money. The system and the structure of soccer camps for young soccer players in the US are definitely different than I had experienced as a youth player in Europe. So is the entire soccer system. Which one is better? I am not sure. Both have positive and negative aspects. My parents definitely like the European system much better, because they didn't have to pay anything. But this is a whole different topic that could be discussed maybe as a Topic of the Week sometime. As I have said, reality is that soccer camps in the US are intended to bring profit. It's simply a business. But this is not necessarily a bad thing. For one, if the soccer camp wants to stay in business and build a good reputation, most likely it'll be run very professionally. That's the good news for us, parents. On the other hand there are good and bad businesses, so are the soccer camps. That's why it's very important to search for references from other participants. Don't just ask the people who run the camp. Share your soccer camp experience with others. Tell us your story. ...soccer camp you like or dislike, your opinion, review (good or bad), tips, suggestions or advise for parents and participants, or basically anything that is soccer camp related. It’ll make a difference for many young soccer players. Your entry will automatically create a separate page with your story.